2015 started out strong and I expect we will see that again in 2016 as a result of a continued lack of inventory and a flood of buyers coming back into the marketplace after the holidays. Although we had multiple and over asking offers throughout the year, the most aggressive and largest number of bidders occurred mainly before summer; looking back at 2015, I think our high point was July. Buyers tired out faster this year than they did in 2014. So 2015 only had one market bump; not the usual two. After Labor Day, buyers were more fickle, largely because in other parts of the city, inventory jumped dramatically (mostly condominiums) and all of a sudden, buyers had options; sellers trying to get top dollar couldn’t get quite what they had planned. Properties that were already remodeled sold first, and list prices had to come down to get people in the door. Interestingly, at the end of the year, with most properties that didn’t sell going off the market til after the first, those that did come on, sold quickly at high prices. It’s all about supply and demand. 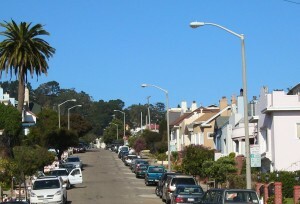 Single family homes in a constrained market kept West Portal/Inner Parkside humming. The total number of sales for 2015 was 42, a big decrease from 60 in 2014 and 64 in 2013. In the old days (three years ago), the normal had been around 50 annual sales, so 2013 and 2014 were already higher than normal. At the close of the fourth quarter of 2015, we had one active, 13 sold (closed) (18 at the same time in 2014) and no failed to sell properties. Of the 13 sold, 11 received multiple offers and 12 sold over their asking price. The amount of over bids ranged from as little as $10,000 to as much as $430,000. Two of the 13 sales (15%), were reported as all cash (no loan); and we had 11 reported for the year (26%). There were no short sales or bank owned properties on the market this year, although a few properties were in difficulties. The best ‘apple’ on the market in the last quarter previously sold in 2005 for $900,000 and recently sold for $1.5m (a 67% increase). Also, a fixer that sold a year ago for $1.1m, that was gutted and beautifully remodeled, just sold for $2.325m. Of note, five of the 13 sales (38%) had been owned by the same people for more than 20 years. Longer ownership means less movement and further tightening of the market; only those who have to sell, are. Forgive me a little human interest. Digging around the tax record means you can find the most interesting things. One property that went quietly to foreclosure was most likely purchased on the courthouse steps and is now being resold. Another home was owned for many years by a World War II veteran, who took advantage of the GI Bill to buy his home. From the third quarter to the fourth, prices stayed even in West Portal/Inner Parkside core and went down as much as three percent North of Ulloa. Year to year, homes that were either remodeled, or needed only cosmetics, went up in value between six and 15%. The upper end of that range seemed to be for less expensive properties, as the market is more competitive in lower price ranges. For properties on busy streets, or needed heavy remodeling, prices went down between seven and 12 percent. Staging companies are telling me that they are booking up at the beginning of the year. I expect the usual first quarter bump up in prices in 2016. Inventory dried up over the holidays and buyers will be back after their holiday nap. I got to sell all four units!